AustinPostcard - Dec. 1913. The new dam across Colorado River at Austin, Texas showing the Flood Water. Dec. 1913. 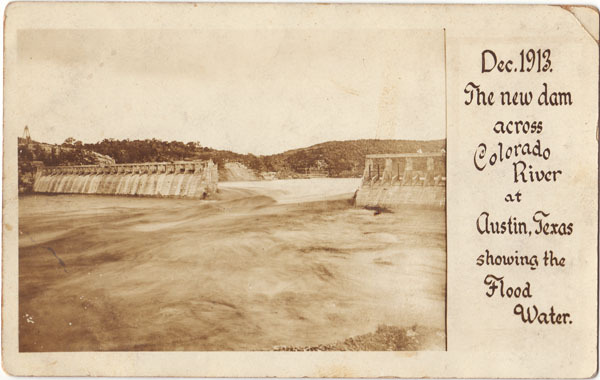 The new dam across Colorado River at Austin, Texas showing the Flood Water.